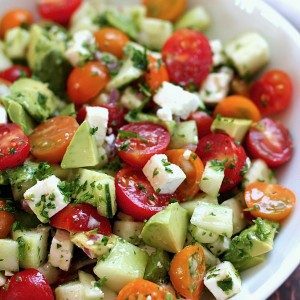 This tomato, cucumber, avocado salad is an easy, flavorful summer salad. It’s crunchy, fresh and simple to make. It’s a family favorite. If refrigerating – keep the avocado aside and add before serving.